So I’m on this Cemita Diet. And it’s working out pretty well so far. 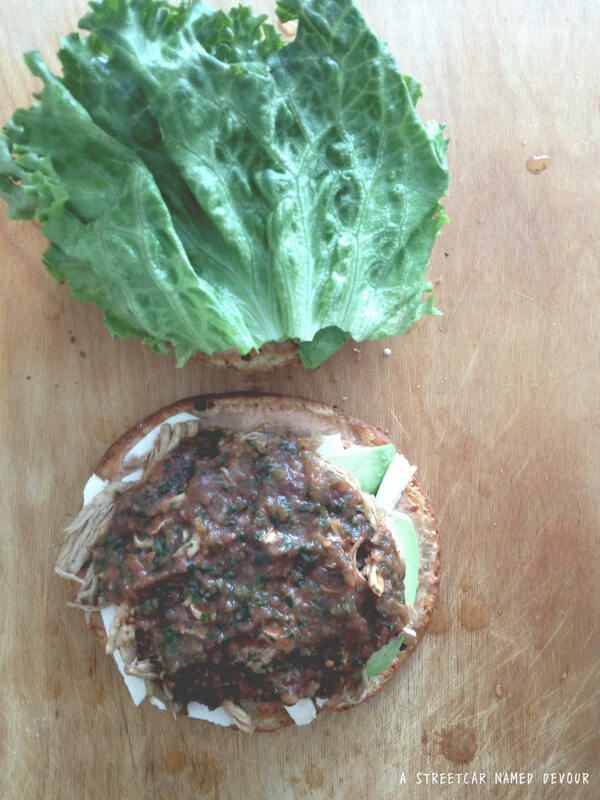 You see, I am constantly recipe testing everything I make for this blog (and for my full-time job as a cook). Most of the things I note while I’m recipe testing, is of course, the taste of the products I’m making, the shelf-life of the food, and if it’s so good I can eat the product repeatedly. 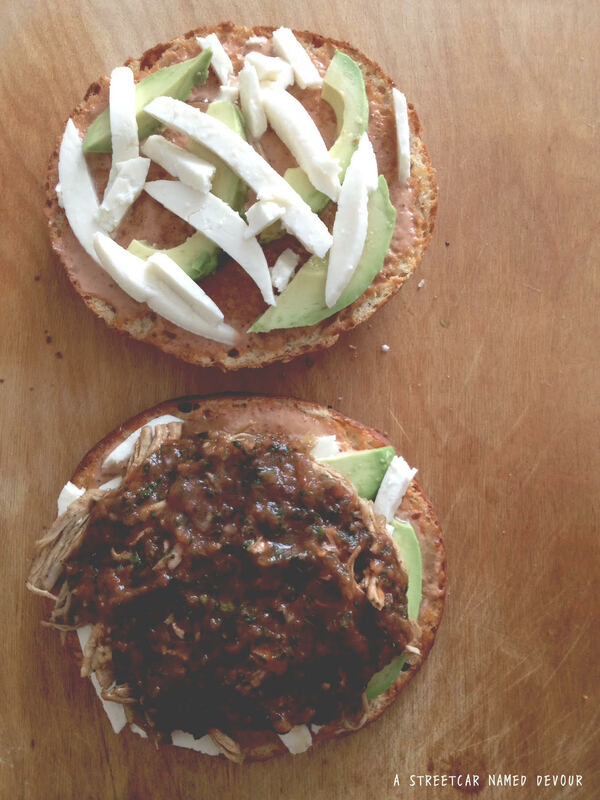 This tested true for this Cemita recipe, which I ate 4 times within the last 2 weeks. 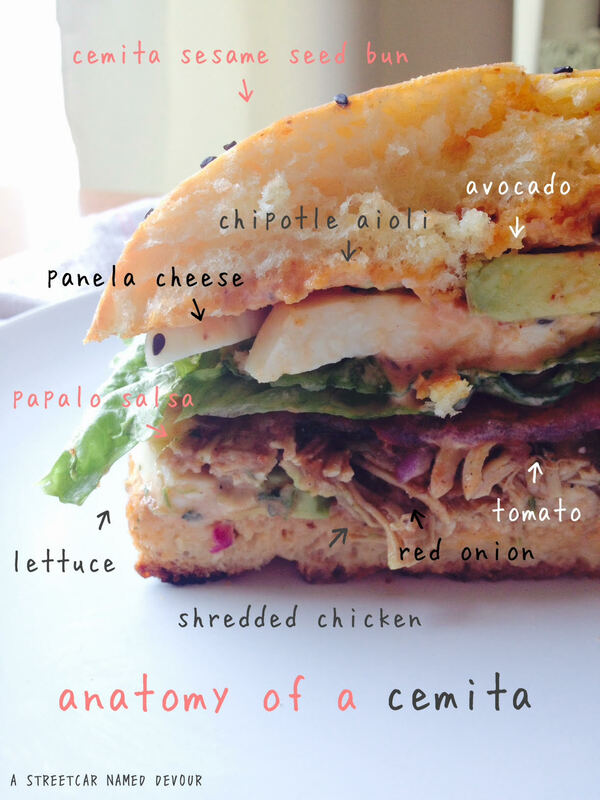 Hence, the Cemita Diet. And it’s not a bad diet to be on. 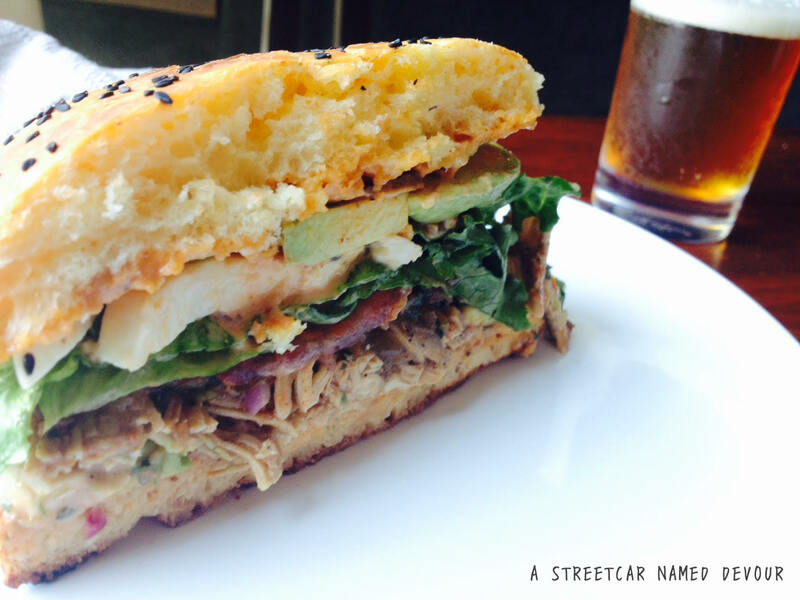 And what makes this sandwich even better? The FRESH BREAD I made. 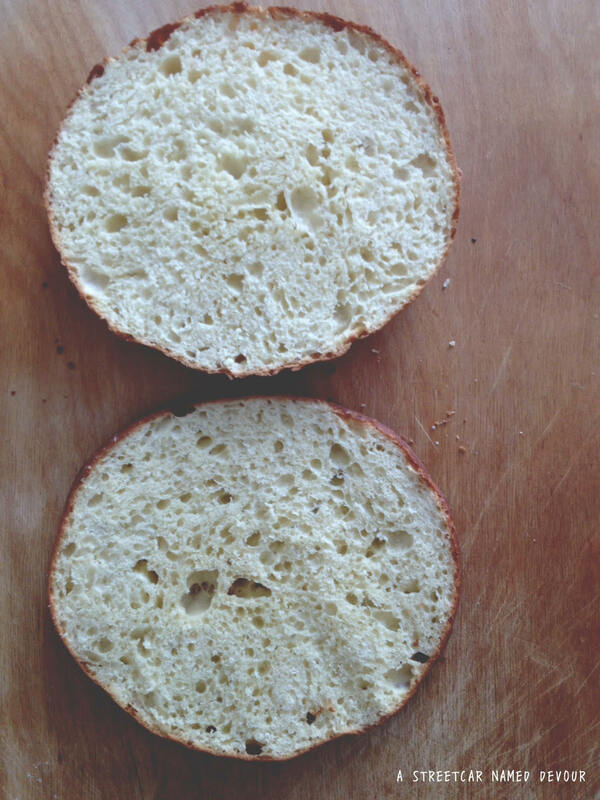 That’s right, fresh sesame seed buns. As Sir Mix-A-Lot protested: My anaconda don’t want none unless you got buns, hun. Clearly he was talking about bread buns, AMIRITE? 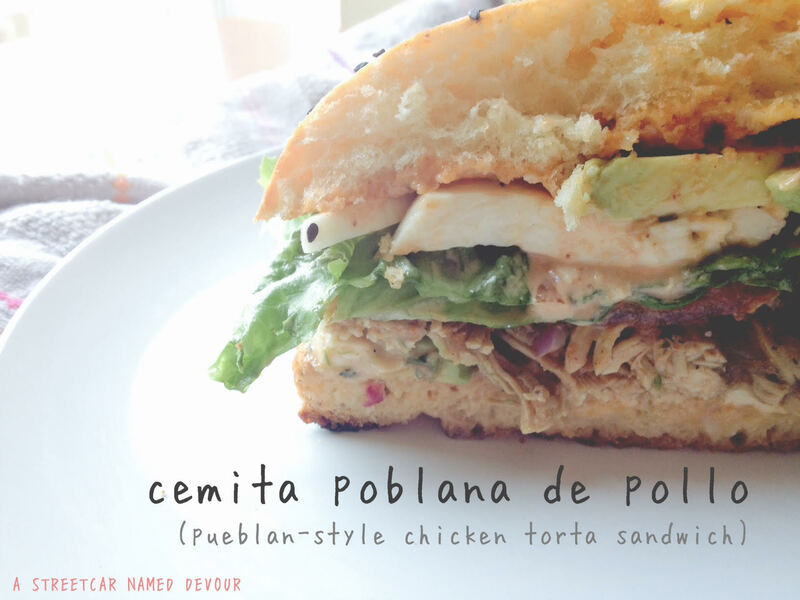 I can attest that this sandwich, a Mexican torta, native to the Pueblo region, is as tasty as it is beautiful. 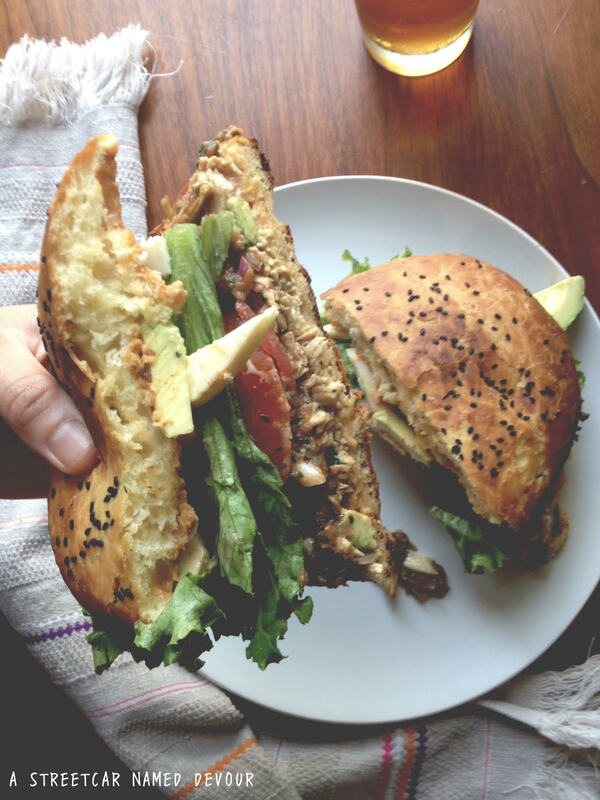 Layers of your choice of meat (in this case, I made shredded chicken), Panela cheese (a Mexican soft, white cheese, similar to Queso Fresco and Mozzarella), ripe avocado slices, chipotle aioli, crisp butterleaf lettuce, tomato and red onion, and a pápalo* salsa roja on a sweet and soft sesame seed bun. 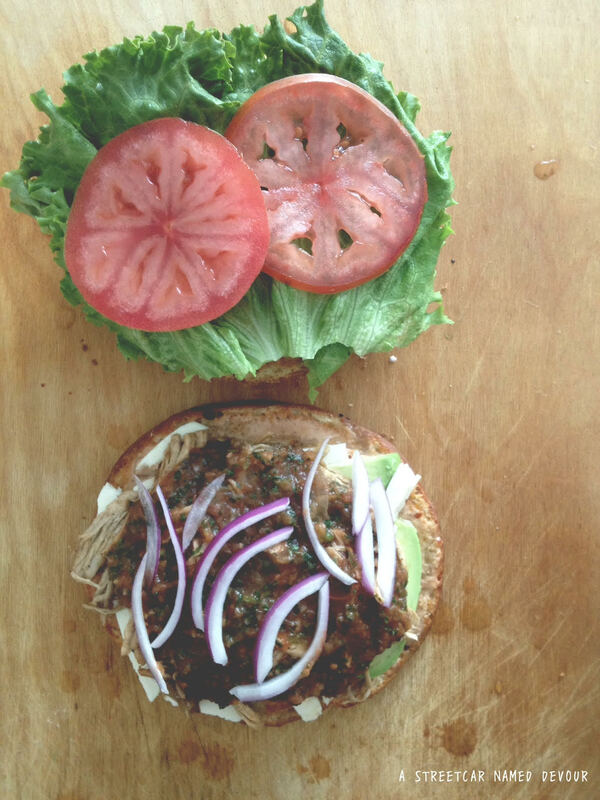 If you’ve never tried a Cemita, you’re in for a real treat–every bite is tastier than its predecessor. 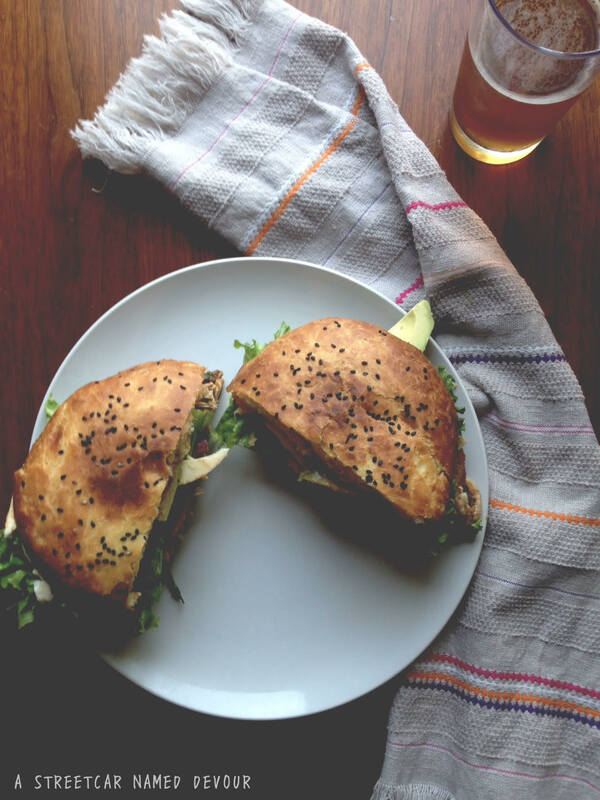 Perfect with an ice-cold beer on a hot summer day, I’m almost positive the next Big Diet trend, is gonna be that of the Cemita. Make the chipotle aioli. Add 1/2 cup of canned chipotles (with sauce) into 2 cups of aioli. Mix together. Place in refrigerator. 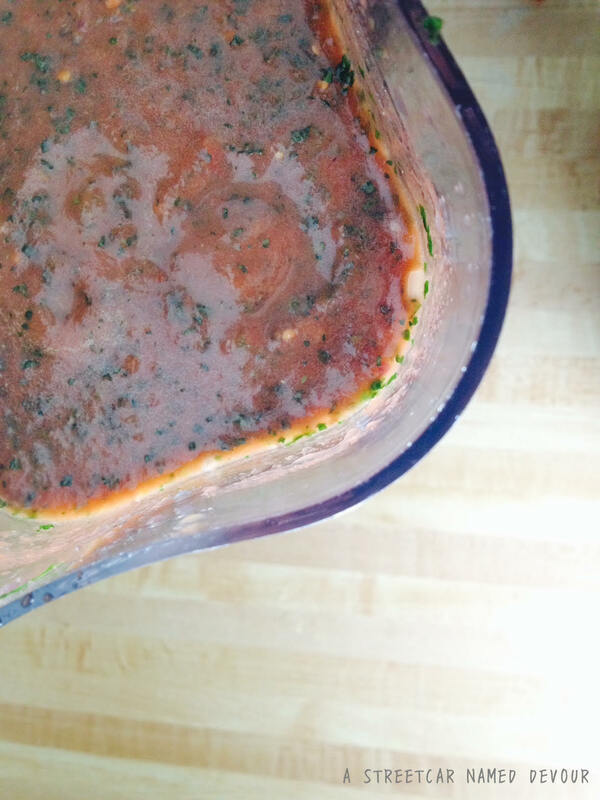 Make the pápalo salsa roja. In a food processor or blender, combine all of the ingredients till well incorporated. Season to taste. Place in refrigerator. Slice each roll in the center horizontally. Place into a toaster oven or oven at 375 degrees for about 7 minutes, or until lightly brown. 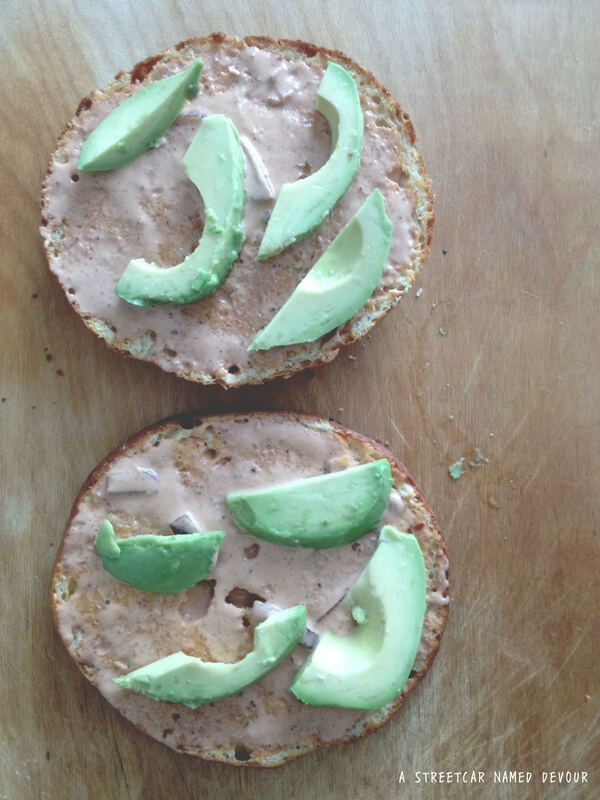 Liberally spread both inner sides of the rolls with the chipotle aioli. 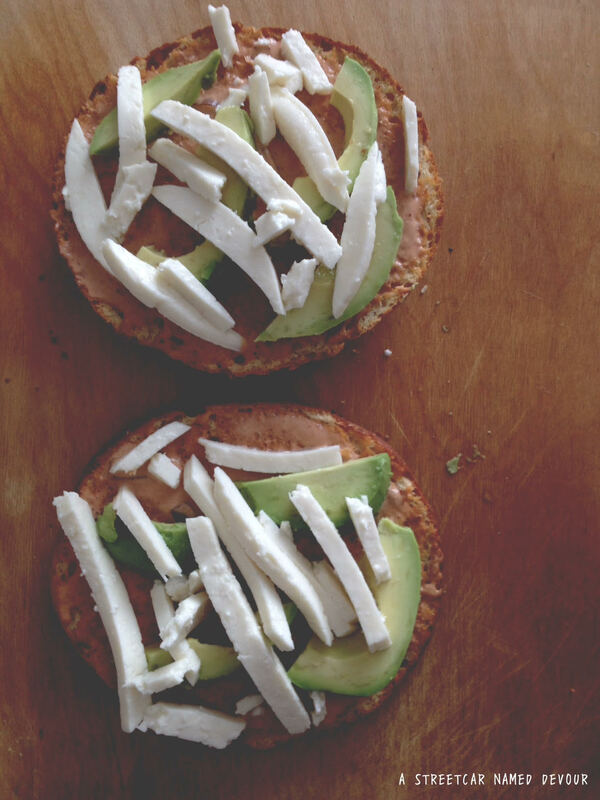 Add the avocado slices and Panela cheese to both sides. 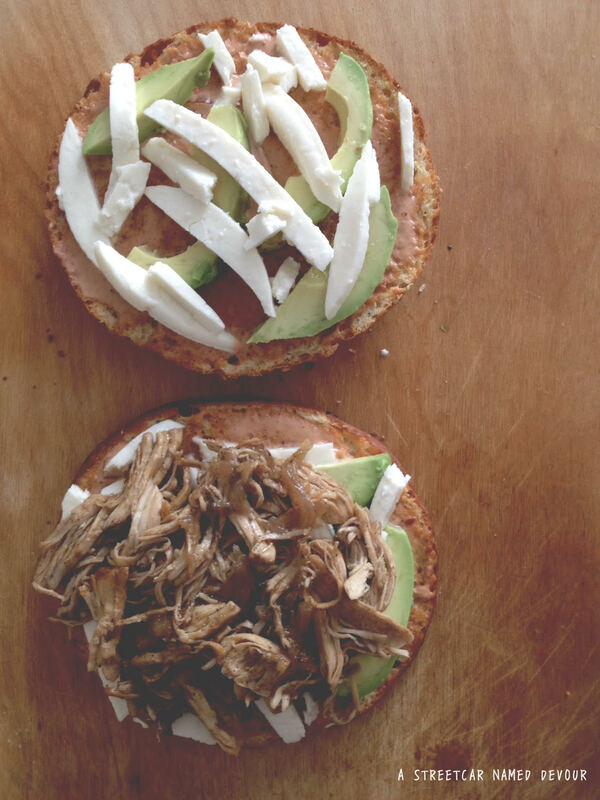 Place about 1/2 cup each of shredded chicken on the bottom halve of the cemita roll for each sandwich. Spoon 1/4 cup each of the papalo salsa over the chicken. 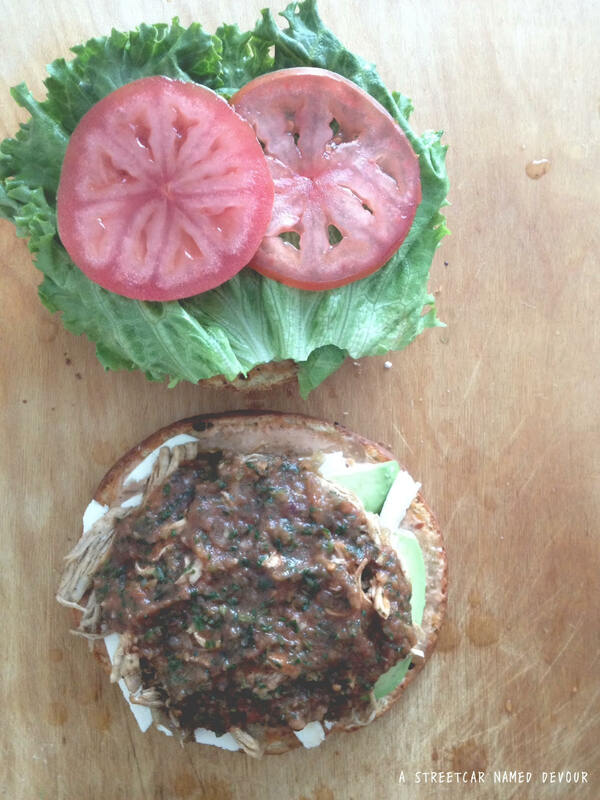 Add the lettuce, tomato and onion.